Coloured aluminum siding and white HPL roof complete the fresh modern exterior, while the standard equipment included on every Northern Teardrop trailer gets you out camping in comfort and style – luxuries the early teardrop trailer pioneers never dreamed of. 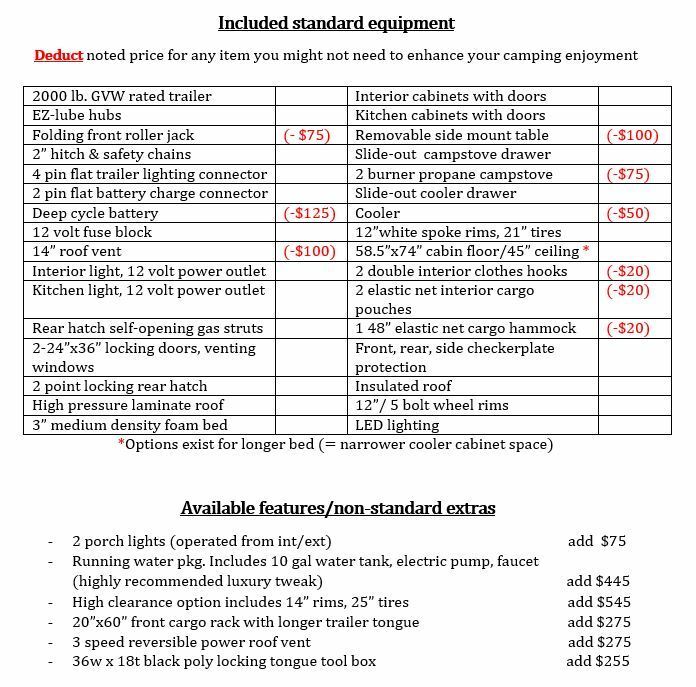 Every Northern Teardrop trailer comes nicely appointed with what we would like to find on a camping trailer – those simple little features that make teardrop camping fun and luxurious. Standard Colour combo “Green on Green” with option incl high clearance wheel pkg, diamond plate tongue box, running water, 3 spd rev fan.